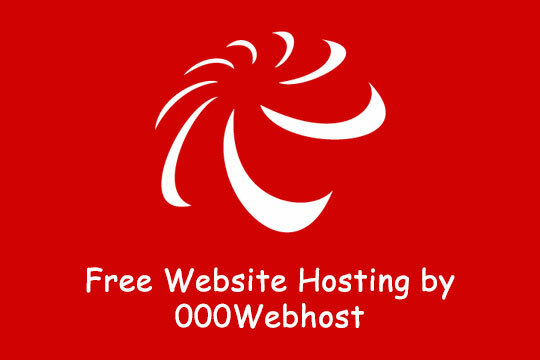 Free web hosting is a reality now from 000Webhost.com. A zero-cost website hosting using PHP, cPanel, My SQL and an absolutely ad-free site can be achieved. One can sign up for free and get the services. The free website hosting comes from the leader in the industry that has 11 years of experience in the business. Free web host veteran: It is one of the oldest service providers in the industry and has provided some amazing solutions to many businesses in the past through its offerings. Anyone can expect to join this revolution and get his own website for free. 99% Uptime guarantee: Company can provide sufficient proof for a 99.9% uptime guarantee so that site will always be available. Most servers from the company can provide the needed uptime to any business site and this can hardly be matched by any service provider. Essential web hosting features: A lot of web hosting features can be found here for free that cannot be matched by many. PHP, WordPress, MySQL and website builders can be made available that can work wonders for any site. Therefore, a site can enjoy maximum features with nil investment. Growth-oriented free hosting: Each hosting account can receive the needed bandwidth and dedicated disk space for the job. Moreover, latest versions of MySQL and PHP can make a site highly enhanced. If someone needs more than this, then there are web hosting upgrade options available that may come with adequate discounts and a lot more features. One click auto installer: The services also come with a 1-click WordPress installer. With just a few clicks of the mouse, a person can get WordPress hosting environment that can be used to make a blog as well as an online e-commerce store. Free website builder: An Easy Website Builder comes with the package that can help in creating a website in 3 easy steps. Choose one from numerous templates that are available, insert the content in it and just publish it for getting a site that can certainly look professional. Moreover, their options for creating the gallery, subpage and contact form. Since 2007, free hosting has been made available by the company that has helped a large number of businesses. The services will be free forever and it can be best suited for a small business or personal blog using the superb features of WordPress. A few features of the free website builder should be discussed here to understand it in entirety. A person need not have any design or coding knowledge to build the same and additionally, it can be built within a very short time. A large number of templates are available and a suitable one can be chosen by an individual. Web elements can be inserted easily and after publishing it, the site is online! Free hosting storage, domain, and subdomain can be received. The site is powered by Zyro and one can have his own Drupal, Joomla and a lot more. Recommended for you: 6 Best Affordable Magento Hosting (Shared/VPS) for Small Magento Sites. Mobile friendly websites: Mobile-friendly sites are very much desired these days due to the reach and flexibility that they can provide to a user. Google search also highly recommends the same due to which it is highly sought after. A website developed in this way can be mobile friendly too. Super easy and ultra fast: The whole concept of building one’s website is very easy and user-friendly. A person need not learn the cumbersome languages for the purpose. Simply using a suitable template and inserting the needed content can be enough to have a working website. Many free website templates: Professional designers have built a large number of templates that can be suitable for any job. Additionally, all the templates are easy to use, SEO friendly and conform to the current internet trends. These templates have been handcrafted and hence all needed features have been incorporated into them. Sites can be SEO compliant: Free website builder can sufficiently ensure that it can be optimized easily in most search engines like Google, Bing, and Yahoo. The SEO needed meta tags like page titles, keywords, etc. can easily be edited and made to look attractive as per a user. There can be a lot of options: By just building a website using the free website builder, one can become a partner of Google AdSense and start earning from it. Google analytics can also be pressed into service to see and analyze all data regarding the site. Google maps, YouTube videos, and many more options can be easily inserted without having to worry about the technical aspects of it. Social media can also help it: Visitors to a site built by the free website builder can be encouraged to post their feedback on social media channels like Facebook and Twitter. More participants can be easily solicited through this way. One can also add the social media channel buttons on the site so that any visitor can access them easily. A free domain name can be obtained through the 000Webhost builder and the site can perform quite fast so that there will be no loading issues in it. There are paid plans from the company too that can be very suitable for businesses that may be somewhat larger in nature. They can get a website designed and maintained after proper hosting. Tremendous customer support can always be expected from the firm due to which there are a large number of firms that have enrolled for the services. High quality at lower cost with practically unlimited features can be easily expected from them. They also offer a 30 day no risk purchase that can help any customer to get the service and if unsatisfied, the whole amount can be refunded. You may also like: Checklist for Choosing Best Web Hosting Services (Infographic). With all these amazing features, the free web hosting from 000Webhost can be the perfect solution for all types of need. Many people have already experienced its benefits and as more awareness spreads regarding it, more people are queuing up to receive the service that can be of supreme quality. A person can get his own site without absolutely investing a penny and moreover, the site can be quite professional in nature that can lure many people towards it.